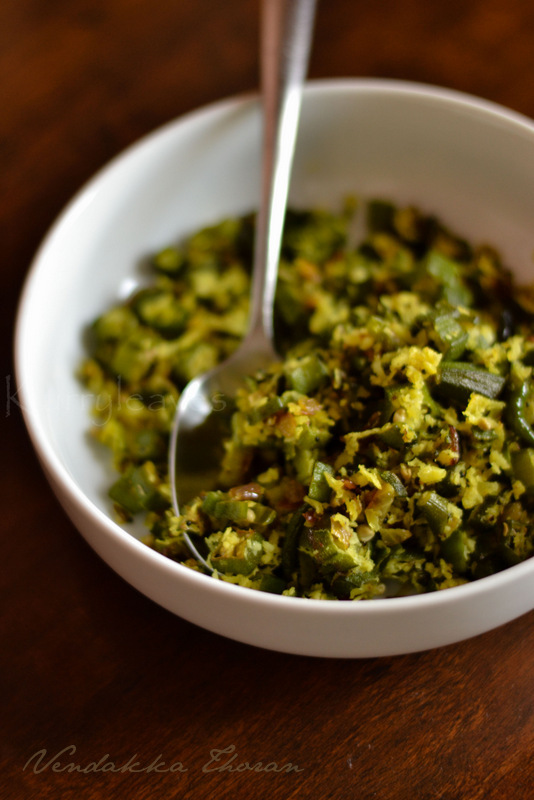 Quick and easy Okra stir fry with coconut. Heat oil in a pan, add mustard seeds and let it splutter.Now add curry leaves,green chilies,garlic and onion.Saute for few seconds or until onion turns translucent.Reduce flame to low,add turmeric powder and cumin powder.Mix well. Now add grated coconut and mix well.Cook for few more minutes.Serve with rice. Adjust the quantity of green chilies according to your taste. Really good authentic tasting recipie.